After carrying out an attack on Paris, a terrorist cell hides out in a department store. "The only thing more terrifying than the last 12 minutes of this film are the first 92," ran the infamous tagline for Dario Argento's Suspiria. It's an attention grabbing piece of marketing, if more than a little self-deprecating, as Argento's film is terrifying from start to finish. If Bertrand Bonello's Nocturama were to adopt similar marketing methods its tagline might run something like "The last hour may be lacklustre, but wasn't that first hour something?" 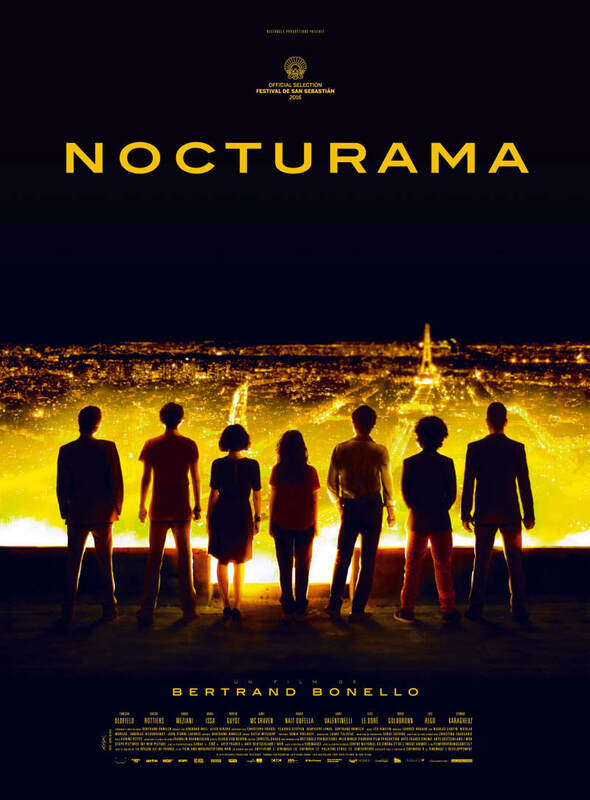 Nocturama's opening hour really is something - a near wordless extended sequence that details the planning and execution of a series of bombings in the centre of Paris; think Jules Dassin's heist thriller Rififi if it featured the protagonists of Claude Chabrol's anarchist drama Nada. The terrorists here are a mixed bunch, spanning multiple races and class backgrounds. They don't appear to have a single leader; they're more of a well-tuned collective. The group's political aims are equally ambiguous, targeting the ministry of defence and HSBC (yes, Bonello has remarkably chosen a very real institution). The latter however seems to have been picked as a target not as a representation of capitalism but merely because one member of the group was offended by his treatment at one of its branches. Bonello assembles this sequence - which reminded me a lot of the opening scenes of William Friedkin's Sorcerer, right down to Bonello's self-composed Tangerine Dream aping synth score - with supreme confidence, introducing us to his young players without ever devolving into exposition. Some are nervous - none more so than a young boy in a Neymar t-shirt who looks no more than 15. Others are self-assured, like rich kid Andre (Martin Guyot), for whom the entire project seems like a way of exerting his assumed superiority, Leopold and Loeb style. For some it appears to be a bit of a lark, while others revel in unnecessary violence. Nocturama has been criticised in some corners for glamourising terrorism, but the film itself never expresses any support for its anti-heroes. However, cinema being as powerful as it is, a form of Stockholm Syndrome sets in which causes us to root for a successful getaway for the group, even though we've seen them commit cold-blooded atrocities, and by the time the cops inevitably show up in the final act (a sequence that plays out like a riff on Chopping Mall), few will be cheering on the authorities. Following the execution of the attacks, the group hides out in a department store, where one of its members (Raw's Rabah Nait Oufella) is on security detail. The plan is to wait until morning, at which point they will slip out with the shopping crowds. The streets outside are filled with the sound of Parisian police sirens (a sound all too familiar to anyone who watches the news on a regular basis), but behind the sound proof walls of the store, the group is oblivious to, and seemingly disinterested in the chaos it's caused. It's at this point that Bonello's film becomes a lot less interesting, a half-baked commentary on consumer culture that fails to hold a candle to its obvious inspiration, George A Romero's Dawn of the Dead. He can't find anything interesting for his young protagonists to do (they mostly play loud music and try on clothes) or say (they mostly talk about music and old TV shows, as if they're in some Gallic Tarantino movie), and we're left to grow as bored as viewers as they are as restless fugitives. 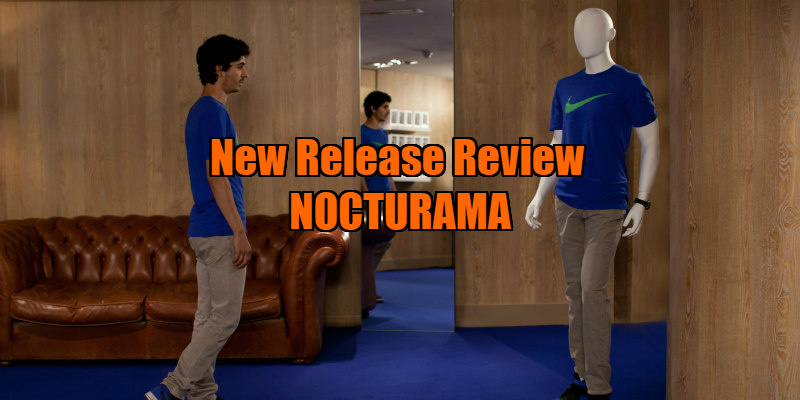 Nocturama is on Netflix now.